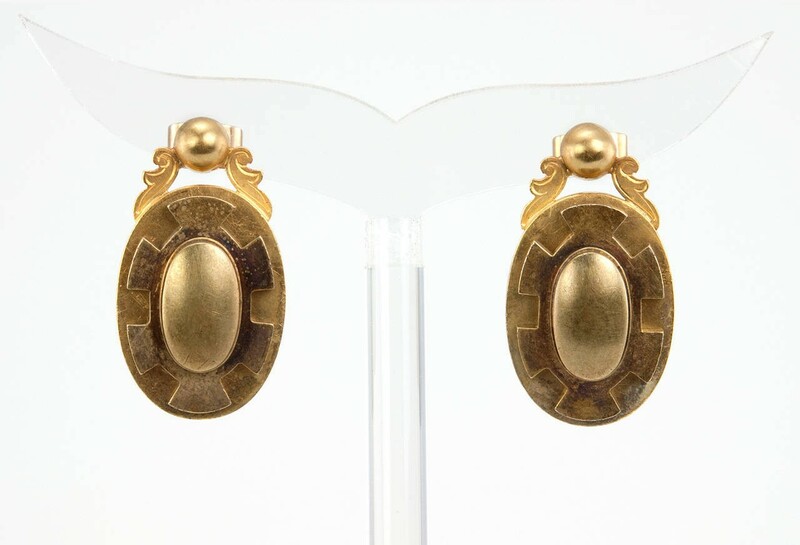 Victorian oval drop earrings with a wonderful patina! 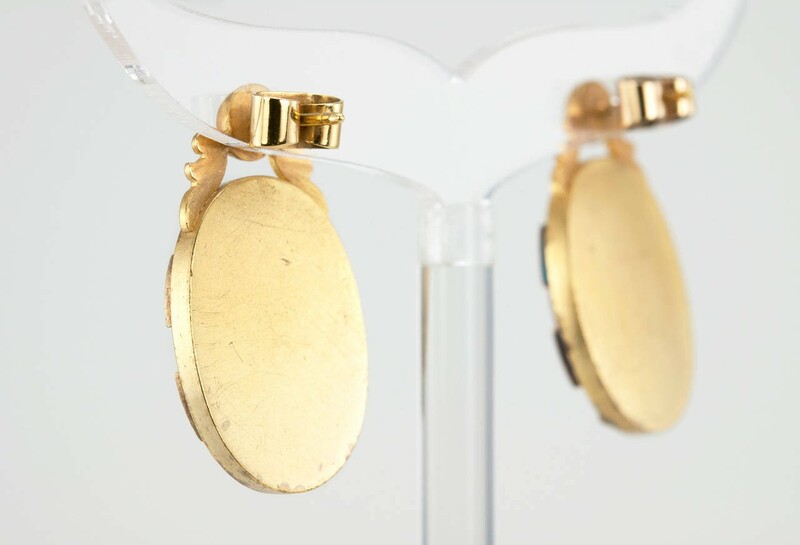 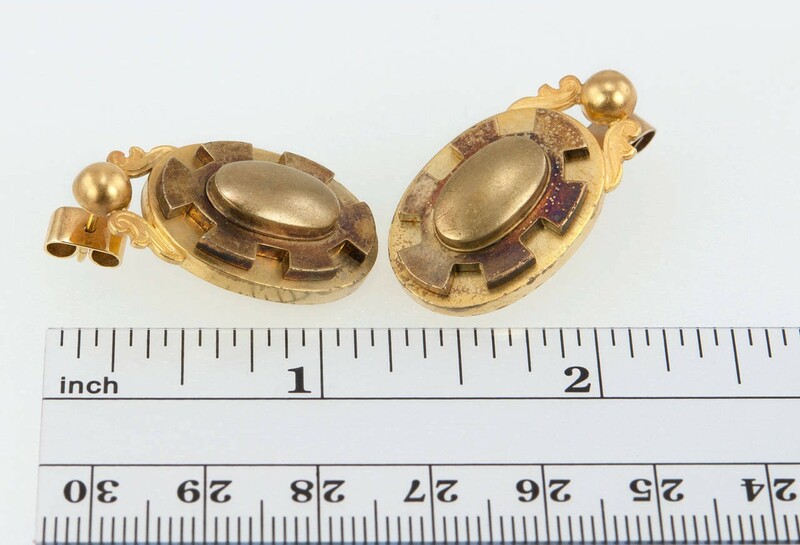 The earrings are made of 18 karat yellow gold and date back to circa 1890s. 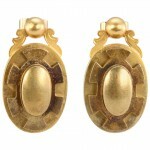 We believe the earring posts were added on to the earrings later on.